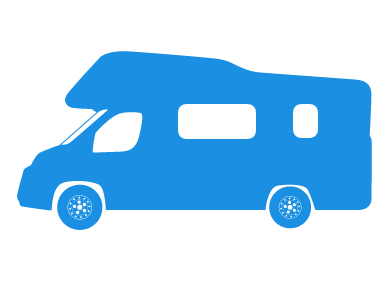 We specialise in a variety of niche motoring markets, including campers & motorhomes and our aim is to provide you with the lowest cost rates available. Cover is available for all makes and models of motor caravan, with our classic policies for the VW campers (including limited mileage discounts) and modern motorhome policies going right through to the top-spec American fifth wheeler RV, again offering a discount for a limited mileage. Many insurers run a mile from any motor home that was not built for the UK market, but, as experts in insuring all import vehicles, you will find that we probably know more about European and American RVs than any of our competitors. We are also able to provide full cover for conversions and self-conversion projects, including cover for vans in the process of being converted. We understand that owning a motorhome is about a lifestyle, at least as much as it is about the vehicle, and our cover takes this into account. You will find all of our policies include a free green card for European travel, with some schemes even allowing trips of up to 365 days at a time. What's more we can offer discounts of up to 15% if you belong to a recognised forum or owners club. Agreed value cover - many insurers will only pay out the 'market value' of your motor home if you suffer a total loss - absolutely gutting if you've spent thousands keeping it in mint condition. We can assess your vehicle and agree cover for its true value, so you won't get a nasty surprise if you need to make a claim. Specialist schemes - covering American & high-end European models. We can offer affordable insurance cover for the high quality and larger vehicles that our competitors shy away from, so if you have a Burstner, Winnebago, Lord Munsterland, Roma, Adria, Hobby, Hymer or other specialist vehicle, please give us a call. Limited Mileage discounts - the fewer miles you drive, the more you can save, from as little as 3,000 miles. Contents cover - depending on the policy taken. Modified / Converted cover - we can provide like-for-like cover for your modifications. Converted and Self-converted vans & buses can be covered too. Owner's Club Discounts - If you belong to a recognised owners club or enthusiasts' forum, you will receive a discount of up to 15%, depending on the policy taken. Our staff are all seasoned insurance experts and will calculate your premium individually, using their expert knowledge of the many schemes on offer. All our policies are designed especially for the out of the ordinary and our staff have a high degree of knowledge in this field. This is not an on-line quote with computer rates. Instead each risk will be individually calculated by our expert staff. Please note that our sales staff are insurance experts not just button pushers and along with our tailor made schemes we believe we offer the best motor caravan insurance quotation service around. Mr H was recommended to Adrian Flux as he had a previous insurance claim and his previous insurer was unable to offer him cover. Mr O has had his Mazda Bongo insured with Adrian Flux for three years. He's had a good experience with Adrian Flux, and would recommend them because of their affordable prices. Mrs R has had her Autosleeper insured with Adrian Flux for four years and gets a discount because of her limited mileage policy. When renewing her policy, Mrs R likes the fact that Adrian Flux will price match in order to get her the best price. Quicker & Cheaper rates by phone complete the call me form during office hours (9am to 7pm Monday to Friday & 9am to 4pm Saturday) for an immediate, no-obligation motorhome insurance quote.